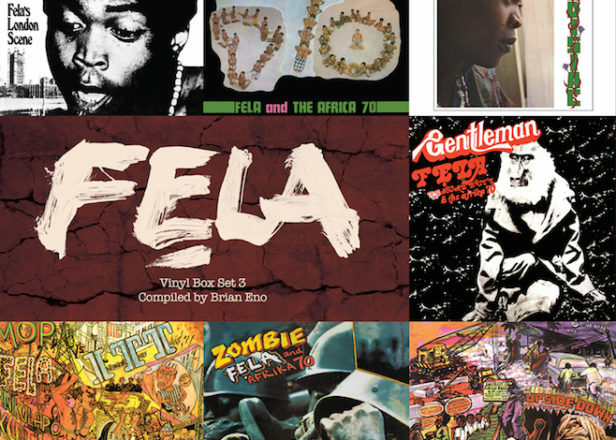 Brian Eno curates seven-LP Fela Kuti vinyl box set - FACT Magazine: Music News, New Music. 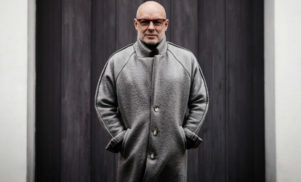 The enduring Eno picks seven classic albums. 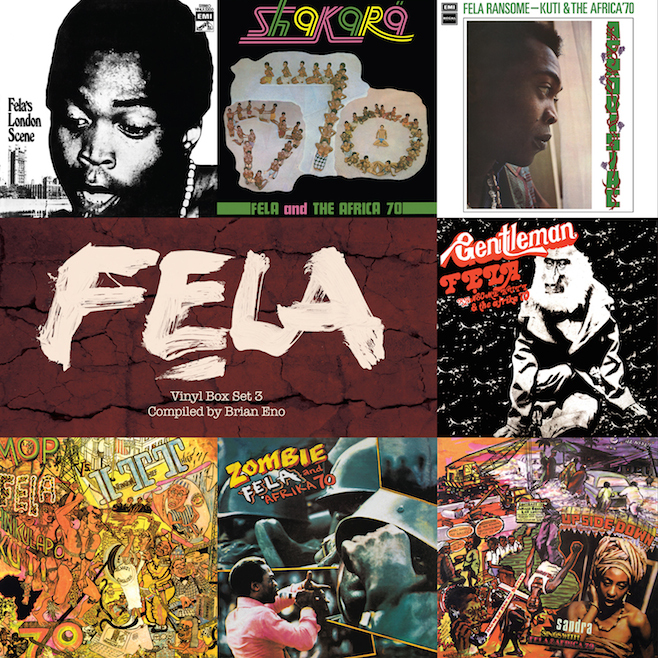 The third in Knitting Factory’s series of Fela Kuti vinyl box sets has been curated by Brian Eno, following previous releases compiled by The Roots’ Questlove and drummer Ginger Baker. Due for release on September 29, Eno’s haul comprises seven albums from Fela’s vast discography: London Scene (1971), Shakara (1972),Gentleman (1973), Afrodisiac (1973), Zombie (1976), Upside Down (1976), and I.T.T. (1980). 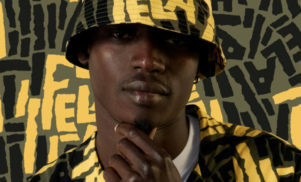 Eno provides a foreword to the accompanying 12-page booklet, which also includes lyrics and commentary from Afrobeat historian Chris May.